If you’ve worked at the Pentagon, you’ve probably bought gas at Quarters K.
The Navy Exchange gas station and Quikmart near the Navy Annex in Arlington, Va., closed for good Friday, as part of a plan to expand neighboring Arlington National Cemetery. 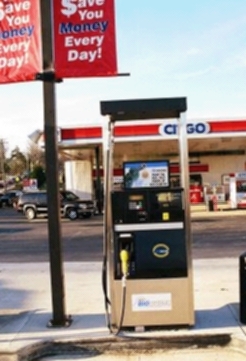 Quarters K served military members, retirees and drivers of government vehicles, as well as members of the public using compressed natural gas and ethanol pumps. A brochure given out at the station notes that the nearest Navy Exchange gas station is at Walter Reed National Military Medical Center in Bethesda, Md., about 30 minutes to the north. Those looking for other alternative fuel options can search the Energy Department’s Alternative Fueling Station Locator. Did you buy gas or alternative fuel at Quarters K? What’s your new commuting strategy? Used to buy B20 (biodiesel) there – 20% domestic soy product supporting our nation’s economy, 80% foreign petroleum supporting foreign dictatorships. Now I must get 100% of my fuel from foreign sources. Go USA! I have vehicle that runs on Compressed Natural Gas, made here in the USA. Now I have to use 30 percent of my fuel just to get to a station where I can fuel up! They plan to expand Arlington National Cemetary there? What next? Mausoleums in Crystal City Mall?